One month in to my year of 12 (twelve). Here’s a quick summary of my word or rather number choice for 2016. Every year for about 12 years now I’ve picked a word that has helped me focus my intentions, goals and decisions of yes and no. My word for 2015 was MUST. Meaning not making excuses or wishing/dreaming my life away but actually doing stuff that empowers me. I can honestly say that I kicked the crap out of 2015, I lived fully, with no regrets and accomplished everything on my list. I feel good about this past year, which just catapults me into taking charge in 2016. 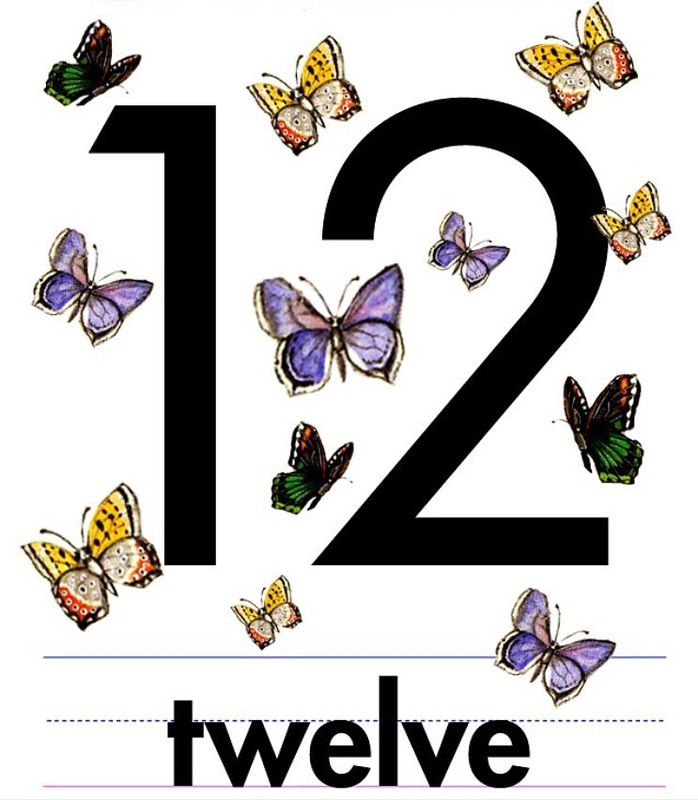 My word for the year is “twelve”. Well, yea, its actually a number but who’s making the rules anyways? Me!! 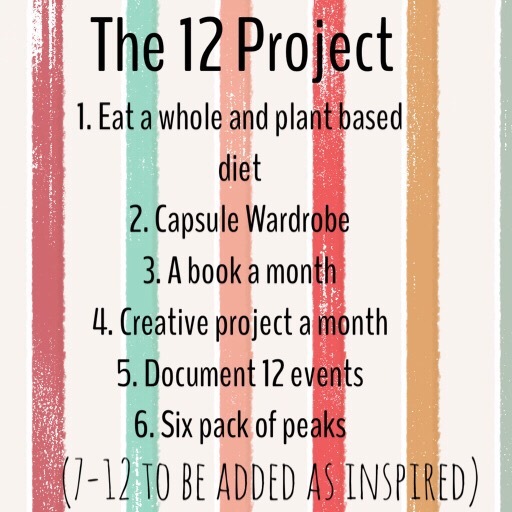 Twelve is the perfect number, it’s the number of completion and creative capacity. This year will be my year of 12’s. 12 projects in 12 months. Some projects are year long, others can be accomplished in a month. Some projects are set in stone and others will be organic. I’m excited. It’s a new year full of possibilities. Here is the list that I started on January 1st. And here’s my honest review on how I did these past 31 days. 1. Plant based diet – Both Mike and I have committed to this lifestyle change. Not only are we doing it for health reasons but also for ethics. I am appalled at the horrible treatment of factory farmed animals. So we have committed to doing our part in saving an animals life. We have cut out all meat, including dairy and eggs. We do eat seafood though. Not a lot, but with a husband in the seafood business, we know where our fish comes from. The transition has been much easier than I thought. I love stocking our fridge and pantry every week with fresh veggies, organic tofu, fruit, legumes, and whole grains. I haven’t missed anything really, except maybe bacon but I found a recipe for Fakin Bacon using tempeh and will try it out. I cheated once with real cheese on potato tacos one night. I am feeling physically better. 2. Capsule Wardrobe – loving this way to dress. I’m due for adding some new pieces but actually don’t feel the need. So will continue to use what I have until I get bored. 3. A book a month– right on schedule. 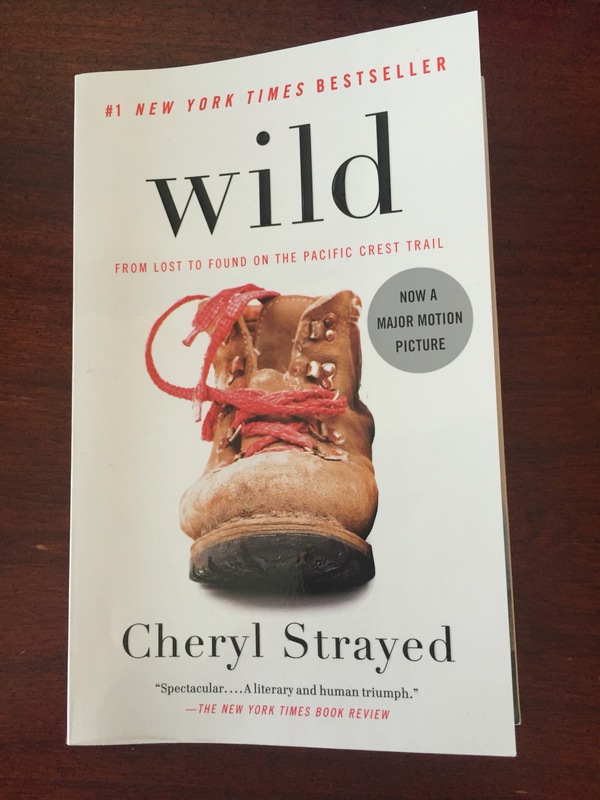 I finished, WILD in mid January. I saw the movie 3 times before I even read the book. 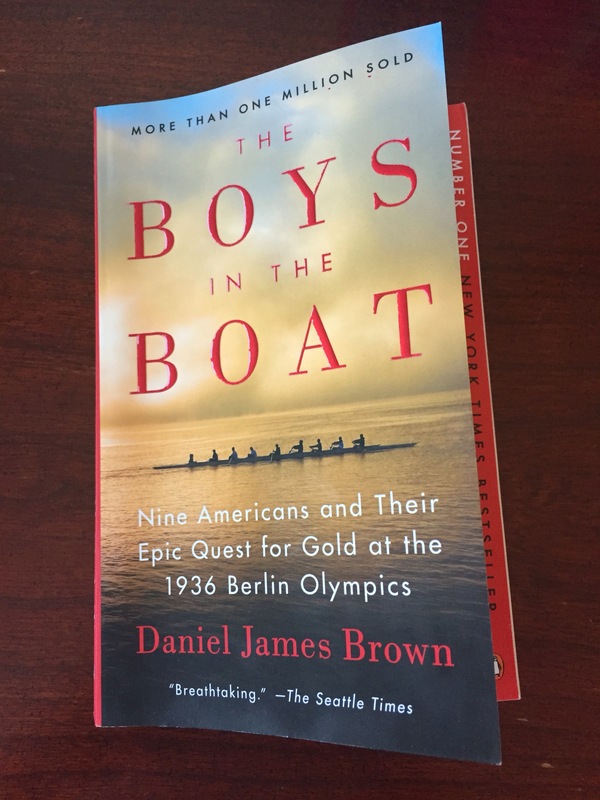 And I am currently reading; The Boys in the Boat . I’m loving it. Very well written based on a true story. 4. Creative Project a Month – I completed my sock monkey project. 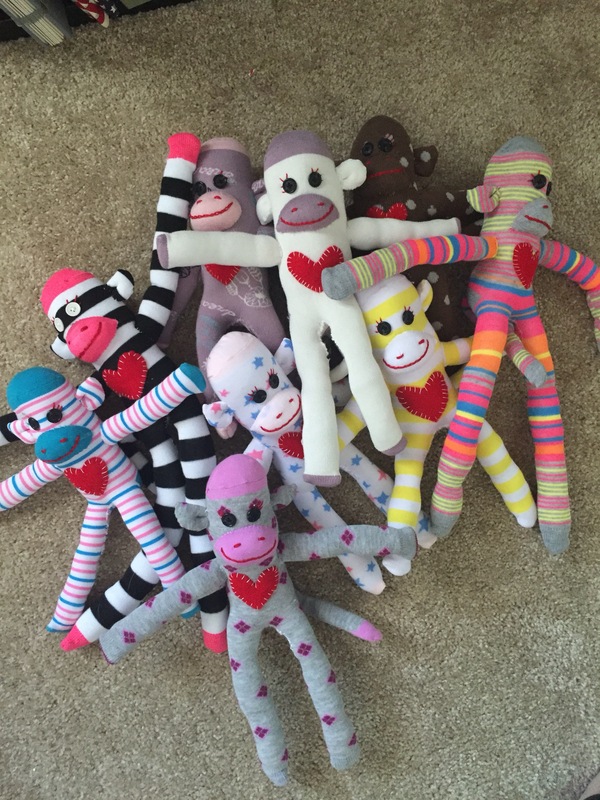 I handmade 13 monkeys in total. Gave 2 away and sold the rest. Realizing I don’t have any myself….I am making 3 more. 2 for me and 1 for my daughter. 5. Document 12 events– I have an order of over 200 photos coming in from Shutterfly. That should give me a good head start. 6. Climb Six Pack of Peaks– Haven’t officially started this one yet. Too much snow on the mountains. I will be doing Baldy on April 3. That’s a for sure. You can read about the 6 pack of peaks here. 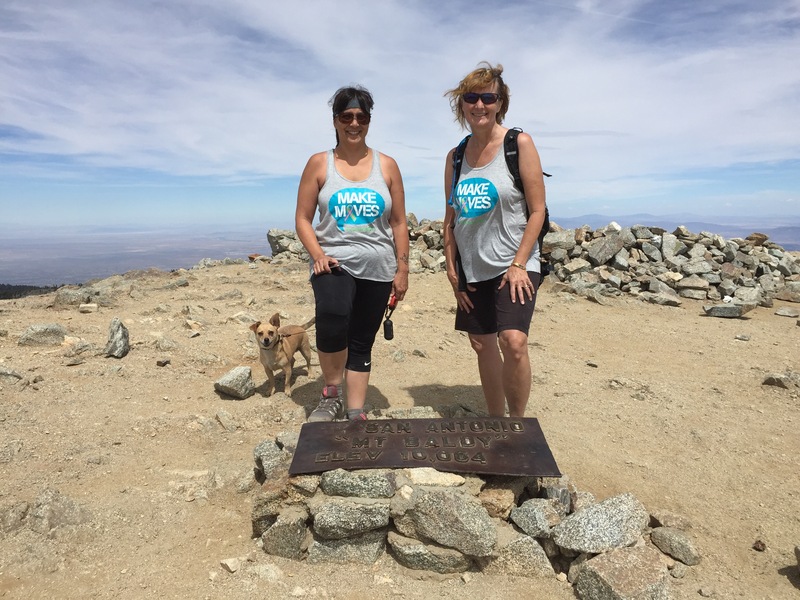 Here’s a pic of my Baldy summit last year with my friend, Sandi. Here is what I’m adding and focusing on in February. *adding a green smoothie a day, 5 days a week to replace breakfast. I am really wanting to cut some of this cancer weight. It’s been rough. *I added a yoga practice to my exercise regimen. I’m 4 days in and I’m loving the feeling of being fully present and stretching muscles that get very tight from my normal hiking and walking. * My creative project will have me taking out my knitting needles and getting reacquainted with them. I will be knitting up dish cloths in 100% cotton. They’re the best. And finally, I have settled on a number 7. 7. No electronics after 9pm and/or before 8am. I want to focus on calming my mind to get a good nights sleep and wake into a morning rhythm that sets the tone for my day. I wrestled with this one for a bit because you know…..emergencies. But then I was reminded that Mike has his cell phone and at night it rarely goes off unless it’s an emergency. Problem solved. So all in all. January was a success. I’m looking forward to more progress in February. What a motivating blog! Love that you are still reaching for goals and many of them I am working on as well. Best of luck! Love your monkeys! You have been super productive! Love it.